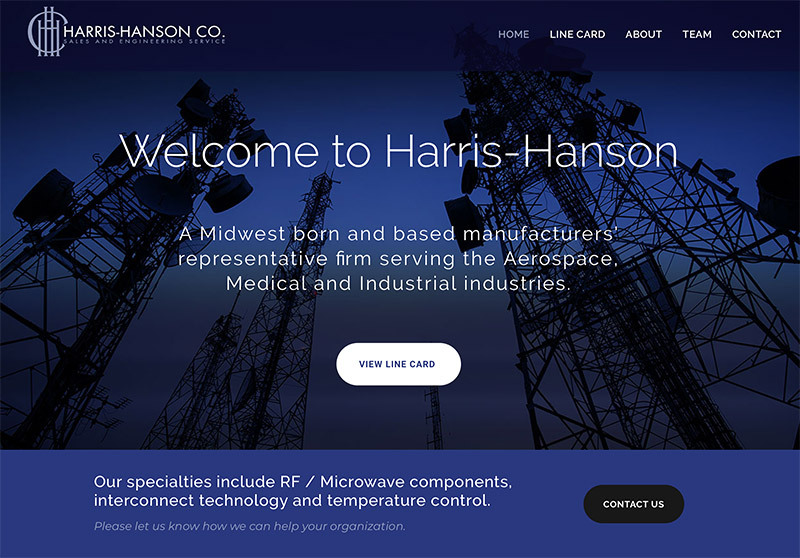 Harris-Hanson’s previous website was a standard HTML table-based website. It was so old it was failing to display correctly on mobile phones and tablets. 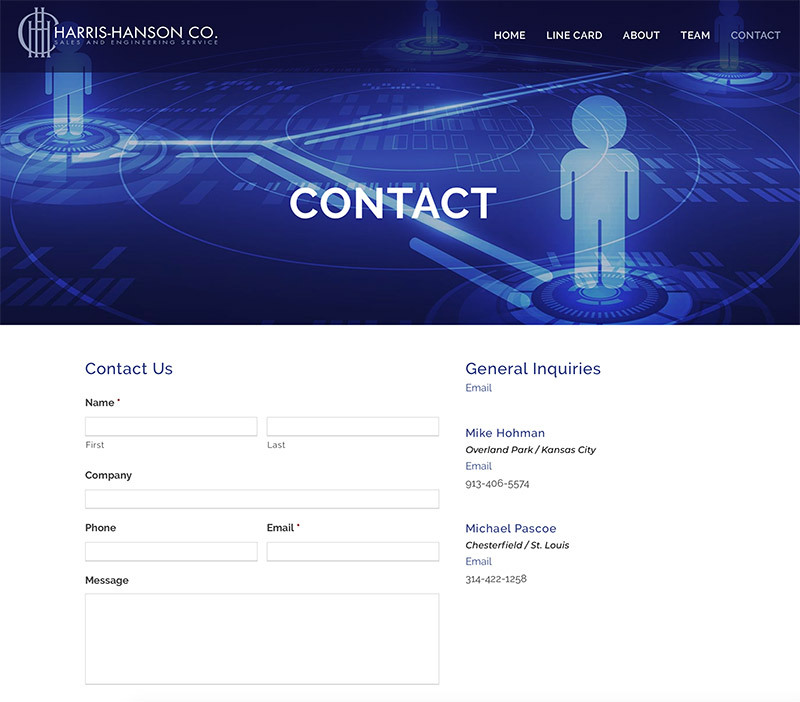 I designed the new Wordpress website using stock images and with special emphasis on the manufacturers they represent in the aerospace, medical and industrial industries. 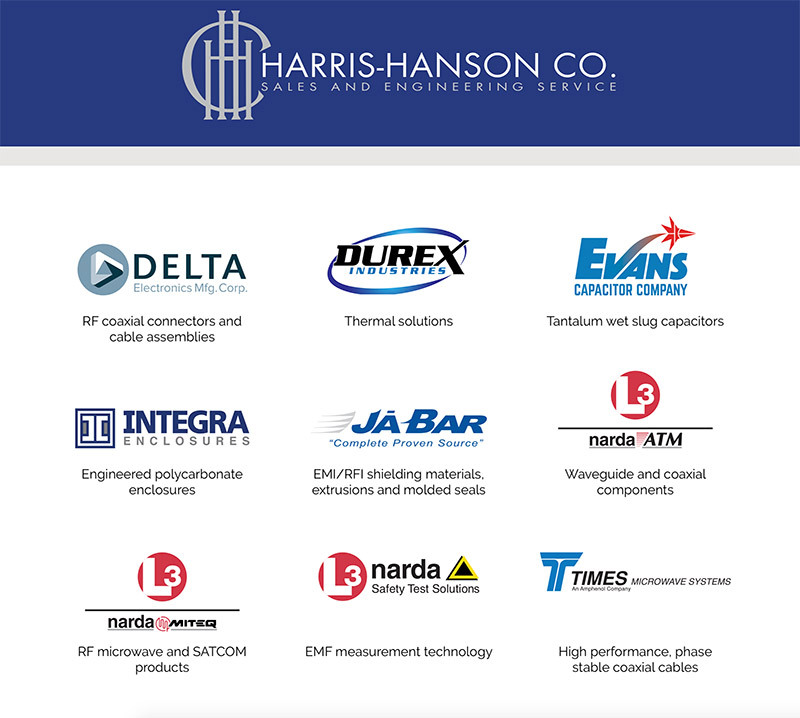 The website is clean, attractive, and provides potential customers with quick access to their line card.